The speakers will address the position of psychoanalysis in contemporary culture. They will explore the interface between neuroscience and psychoanalysis and will draw a contrast between psychoanalytic and psychiatric treatment of psychosis – as informed by their 27 years experience at “Le 388” – the psychoanalytic treatment program for psychotic young adults they developed. GIFRIC (The Interdisciplinary Freudian Group for Research and Clinical and Cultural Interventions) received the Hans W. Loewald Memorial Award in recognition of its contribution to psychoanalytic theory, history, and application, most notably concerning the development of the psychoanalytic treatment of psychosis. This award was presented to GIFRIC in 2004 by the International Federation for Psychoanalytic Education (IFPE). Willy Apollon, Danielle Bergeron and Lucie Cantin are co-authors of Traiter la psychose (1990), published by GIFRIC (in French and translated in Spanish), After Lacan: Clinical practice and the subject of the unconscious (2002), SUNY Press and La cure analytique du psychotique/ enjeux et stratégies (2008), published by Gifric, Québec. Willy Apollon, Psychoanalyst and Philosopher (Paris, Sorbonne). He is Supervising Analyst, and Analyst Consultant at The 388, the Psychoanalytic Treatment Center for Young Adult Psychotics. Past President and founder of GIFRIC, he is responsible for research at the Center for Research and Training of GIFRIC, and Director of the Psychoanalytic Center for the Family. He is author of La Différence sexuelle au risque de la parenté, Psychoses: l’offre de l’analyste, L’Universel, perspectives psychanalytiques, published by Gifric. 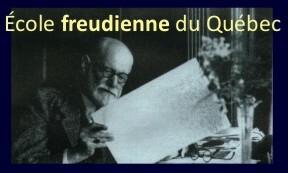 He has contributed to over thirty works and published more than one hundred articles in Québec and in international journals on the topics of psychosis, the formation of analysts, the psychoanalytic clinic, perversion, æsthetics, family, and the analysis of cultural, social and political practices. Danielle Bergeron, M.D. Psychoanalyst and psychiatrist. She is supervising analyst and responsible for teaching at GIFRIC Center for Research and Training; Associate Professor of Psychiatry at Laval University; Director of The 388, the Psychoanalytic Treatment Center for Young Adult Psychotics; Responsible for the Short-Term Analytic Therapy Program at Robert-Giffard Hospital, Distinguished Fellow of the American Psychiatric Association; member of the Freudian School of Quebec. She has several publications on the clinical stakes of psychical structures, the psychoanalytical treatment of psychosis and neurosis, femininity, art and aesthetics, and psychosis/psychiatry/ psychoanalysis and society. Lucie Cantin, Psychoanalyst and psychologist. She is Supervising Analyst and Co-director of training at GIFRIC; Clinical Professor of Psychology at Laval University. Since its foundation in 1982, she is Assistant Director of The 388, Psychoanalytic Treatment Center for Young Adult Psychotics. She is responsible for publication and training at the Center for Research and Training of GIFRIC, Editor of the review Savoir, journal of psychoanalysis and cultural analysis, and Vice-President of GIFRIC. She has several publications on the psychoanalytic treatment of psychosis, the clinic of neurosis, on mysticism, femininity, masculinity, and perversion. 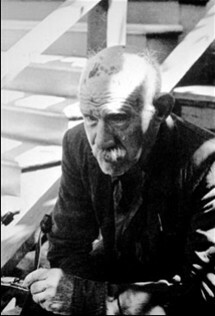 Intuit - The Gallery for intuitive and outsider art has reconstructed the artist’s living space and studio – as the Henry Darger Room Collection. In this installation are displayed tracings, clippings from newspapers, magazines, comic books, cartoons, children’s books, coloring books, personal documents, and architectural elements, fixtures, and furnishings from Darger’s original room.